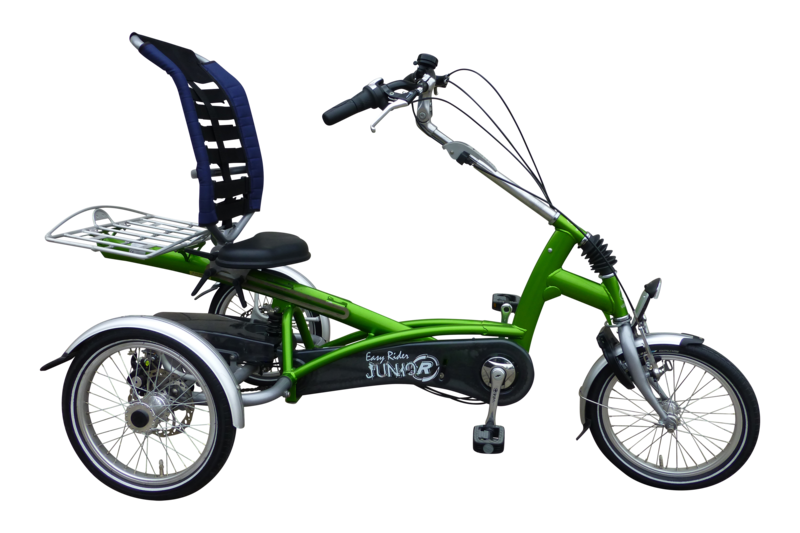 The Easy Rider Junior tricycle is specially designed for children, who have difficulties with stability. This sturdy and smooth tricycle with a low step through has a seating with backrest and therefore, gives more support than a cycle with a regular saddle. The clever seat back not only adjusts in angle but the straps can be adjusted to allow a more supportive and comfortable ride. The forward pedalling motion and the frame suspension ensure a perfectly comfortable ride. The special cycling position lays hardly any burden on the back, neck, shoulders and wrists. Virtually anyone can ride this cycle without getting habituated to it.